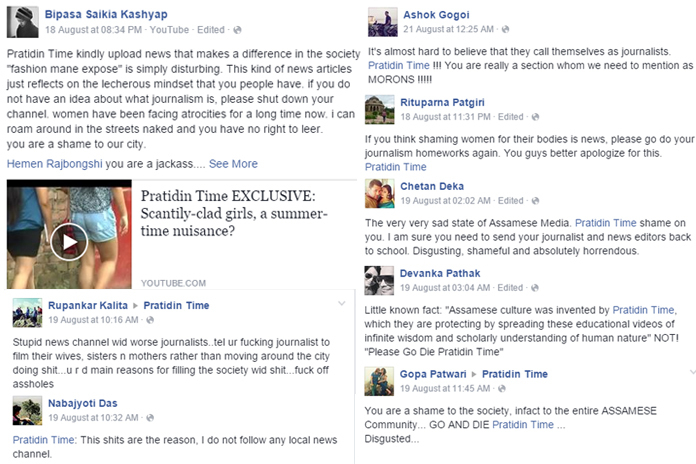 An Assamese news channel Pratidin Time has sparked outrage after it aired a video on how scantily dressed women are creating nuisance on the streets of Guwahati. The whole controversy started while they broadcast the video titled “Scantily Clad Girls: A Summer Time Nuisance” on YouTube. Here’s the timeline of this whole event. Yes! according to a viewer, the first time he saw that video on the official YouTube channel of Pratidin Time it was the second week of July. The video was getting maximum dislikes and comments against it. On August 18 something magical happened, people are suddenly started sharing this on Facebook and next day Pratidin Time smartly took down the video from YouTube. 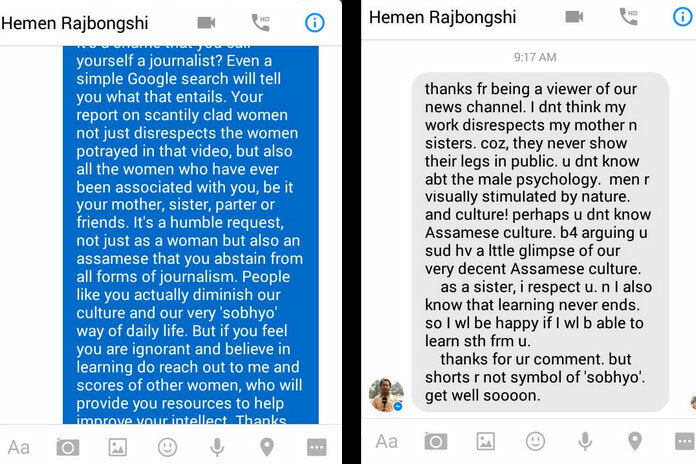 On August 19 Scoopwhoop, an internet media and news company published an article titled “After Watching This Disgusting News Video, I Am Ashamed Of Being An Assamese”. The article also featured with that deleted video, which was later uploaded by a user. 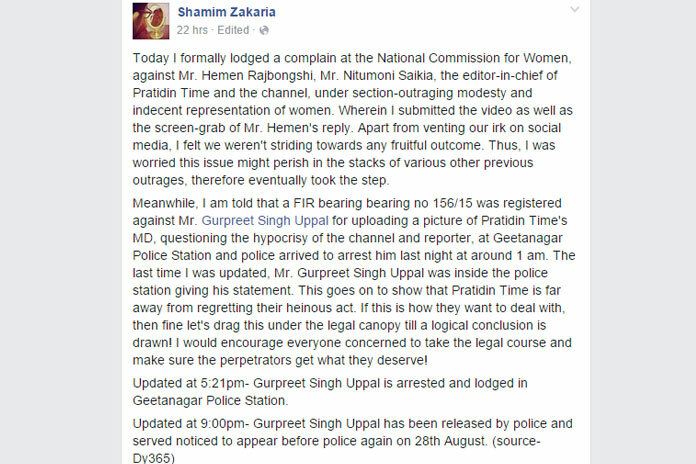 There has been an insistent online petition to the Chief Minister Tarun Gogoi to enforce responsible journalism. It has even been signed by the famous personalities like Adil Hussain, Utpal Borpujari, Rajni Basumatari.. etc. See the details of this petition. Anchor: If you are hungry, you need food. To save yourself from sun, rain and storm you need a house and to cover yourself, you need clothes. Today our ‘agenda’ for today’s news is ‘Clothes’. Some of you might find this news offensive, but those who understands will understand the importance of our news. 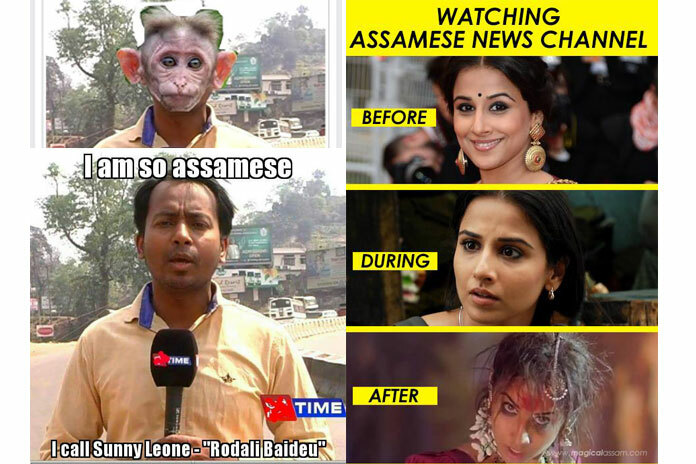 0:55 (Upper Ticker) Monkeys from jungle also now wears clothes. 1:13: Now their preferred attire is ‘Half Pant’. And consequently a fraction of city girls have wearing short clothes. [Graphic and VO] 1:25: And maybe for this fraction of girls, ‘Fashion means Expose’. 1:40 [Interview 1: Girl]: It’s about the mindset of the people. We should wear something that makes us comfortable. But one can wear as per their fashion. And maybe that’s what they like. 1:50 [Interview 2: Girl]: If we go out on roads wearing shorts, for shopping, I don’t think so there is an issue with it. [VO] 1:58: But why is that only 5 out of 100 girls need comfort? And because of this fashion and comfort, many people gaze into such shorts. 2:24: Girls in shorts or half pants, it is bad to say, but such kind of clothes sensitize the roads. 2:33: [Interview 3: Man]: The culture that Assam had is no longer there. And now they curse the male that you looked at her like indecently. Right now I saw a girl, the dress she is wearing, what do I say? The culture which we have, what we should wear, the way we should do hair, they way we should wear clothes; it’s no longer there. 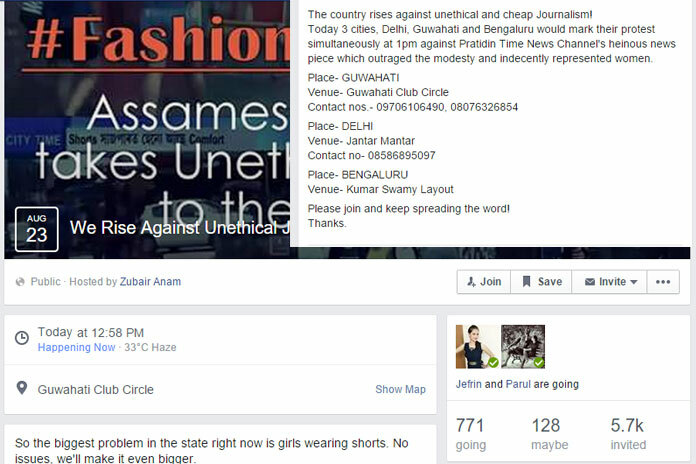 [VO] 2:55: In the streets of Guwahati, there are ample of girls who are wearing shorts. [Piece to Camera]: Spaceship has travelled to Mars from Earth. 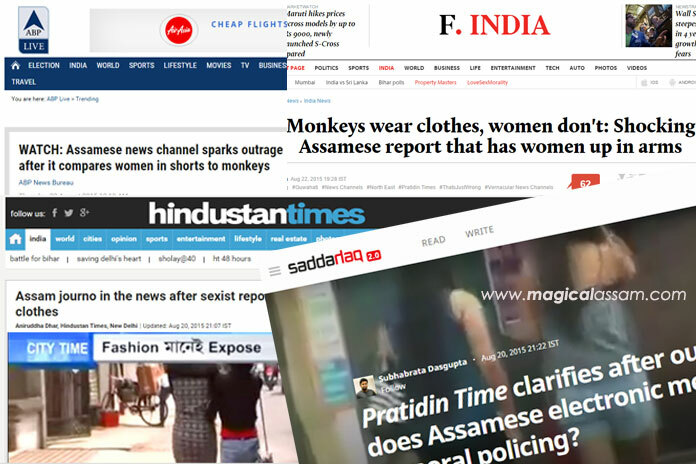 And at the same time, here in Assam we are debating about attires in Assam. How relevant it is? 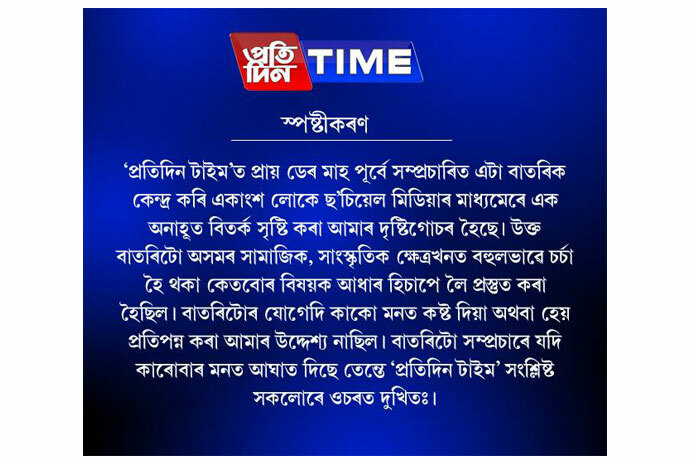 [News clip: Assamese Singer] 3:07: The organizers have said that I can’t sing on stage if I don’t wear the traditional Assamese attire, Mekhla Chador. 3:15 [VO]: Yes, in the same city, where a singer cannot take the stage even after wearing decent clothes, there shouldn’t s any problem in making news out of attires that are being worn. And these girls should also keep in mind that, culture isn’t preserved on stages, the stage of culture is society. 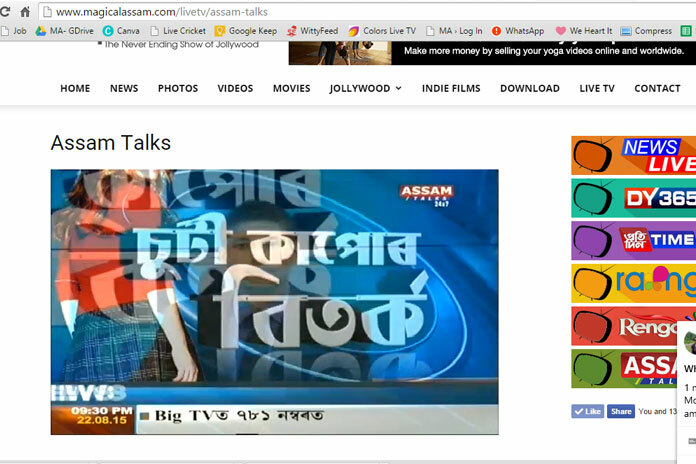 3:33: With Cameraperson Vipul Mazumdar, Heman Rajbonsi, Pratidin Time, Guwahati.